More than any other reporter in Birmingham I recognized and reported on what was taking shape at with the development of downtown's Railroad Park. 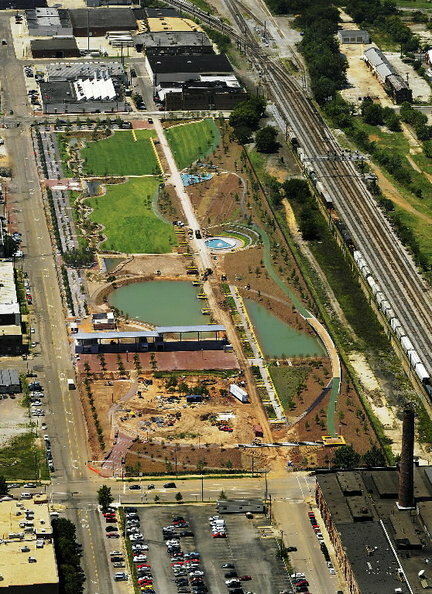 Railroad Park in progress | al.com: A flat, weedy and vacant tract stretching eight city blocks has been sculpted into rolling terrain, ranging from deep ponds to sloping hillsides. From a high mound at the park's north east corner along what will be a bicycle and jogging path, the downtown skyline towers to the north. UAB rises to the south and Vulcan and the green of Red Mountain cup the horizon. The flow of traffic moves along Interstate 65 in the distance. Trains provide a moving backdrop. 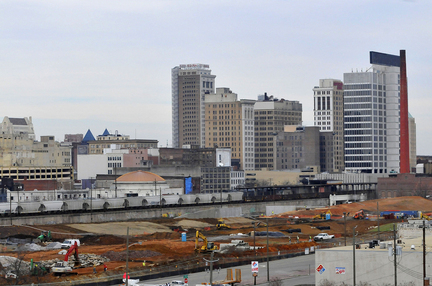 "You get a sense of all the city right here," said Giles Perkins, a local lawyer and presi dent of the private, nonprofit Railroad Park Foundation, which is leading development of the park in conjunction with the city of Birmingham.